The latest update to Google Inbox is currently rolling out in the Google Play Store and with it comes Direct Share support. For those who aren’t familiar with it, Direct Share is a feature in Marshmallow that allows your most frequently used contacts to show up in the Share pane of an app. This is something that several apps have been rolling our recently including Google+, Whatsapp and Hangouts. Now if you have Inbox installed and you want to share something (say a website), you can use the share function in your browser and share it directly to a contact using Inbox. 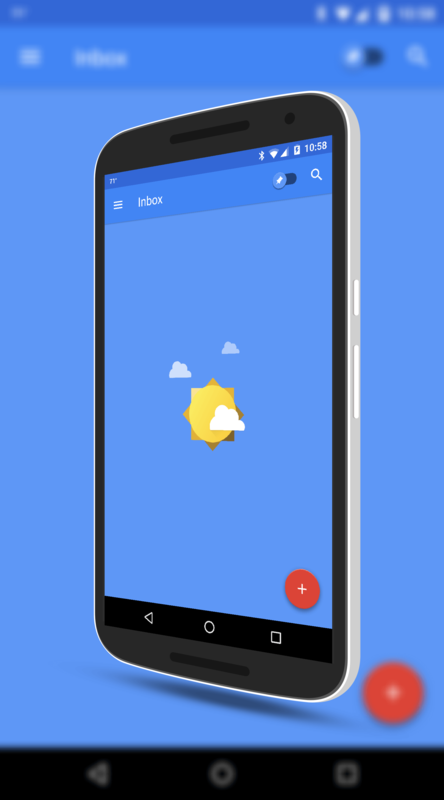 Inbox also contains several bug fixes and improvements. Even if the Direct Share feature isn’t a big deal to you, you should probably grab the update anyway just to have the latest fixes in the app. Google Inbox is continually growing with several user friendly features like auto responses and easy email organization. It works seamlessly with your Gmail account (actually it is somewhat of a replacement for the Gmail app) but does not support other accounts like Exchange. If you haven’t checked it out, it’s free and worth a gander. Is there anyway to remove and add other frequently shared? Is there anyway to get it to use Gmail instead of Outlook to send shares? The Direct Share works based on how you use your phone and adds them. The more frequently you chose an app to share with, the more likely it will show up in the list of apps. There is no way that I am aware of to add anything to the direct share list. As for Gmail or Outlook, that comes down to what app you have setup as your default for that feature. If you go to Settings>Apps>Gmail (or Outlook) and tap on Open by default, you can change your default supported links settings.